Nuki » Blog » Nuki News » Closing Chapter 1, Thanks for Everything! Closing Chapter 1, Thanks for Everything! It has been one hell of a ride throughout the last 22 months together with you. I remember very well our first official presentation of Nuki (still named "Noki" at that time) at Le Web in Paris and the talks with people at the event. 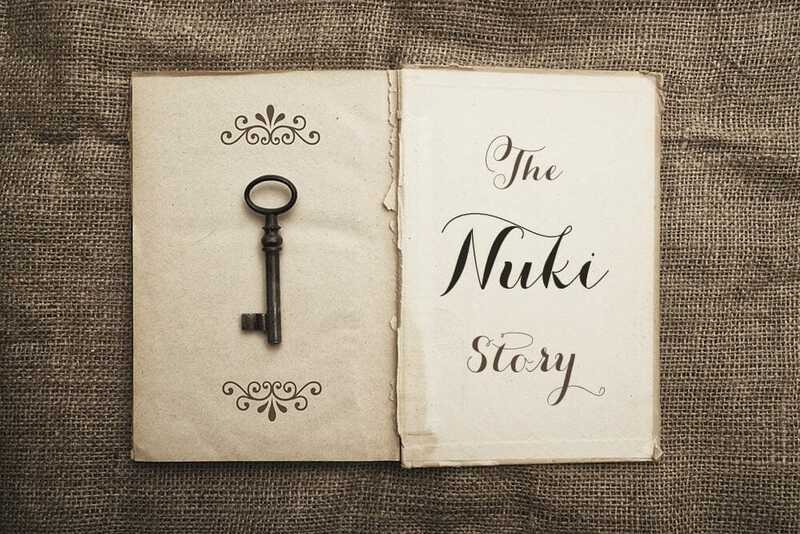 Right from the very beginning the story of Nuki took off. The key to our success was that, ironically, people didn’t like (physical) keys and we gave them a new key ("Nuki") directly on the smartphone. The buzz created in the weeks and months before our Kickstarter campaign by some of our earliest adopters laid the groundwork for what was to come. Today we are closing the first chapter of our story. Nuki has been shipped more than 5,000 times and all preorders are fulfilled. Thus, we are officially launching to the market as of today, entering the next phase of our corporate development. We will stay focused on the core principles that brought us success in the first place. Make a smart door lock for the retrofit market that is smart, simple, secure and good-looking. Smart: controlling your door lock from distance is cool and our open infrastructure will allow several exciting integrations in the future. Stay tuned as we will be making the most out of Nuki! Simple: almost all professional reviews have praised our installation process, so many of you can’t be wrong! Secure: a sensitive topic, which is why we put lots of effort into making sure all data to and from Nuki flows secure. Good-looking: design is always subjective, but we think our friends at EOOS and our internal design team did a great job! Another core value we wanted to stick to was honesty and straightness in the way we communicate. We didn’t want to overpromise features and the timing of delivery. As many of you painfully know, we failed on the latter. Looking back from today I can tell you that the main reason for the delays was lack of experience in planning, not so much our speed in the actual development. Ultimately, it’s hard to communicate delivery dates (still, you have to and most of you were expecting), if you are evolving from prototype to industrialized product for the first time. Next time we’re wiser for sure and will make it better! Although there was not only praise from our supporters throughout the last months, your early validation of the Nuki idea and the much feedback we have received since then was incredibly valuable for us. Thank you so much for supporting us along the way! I am happy to see the Nuki products selling well at the current market price, so all early supporters have received a significant discount (up to 50%) for trusting us. Maybe most importantly for you, you helped bring to life a company with a growing number of employees and more innovation to come. So today we’re closing one chapter and open the next. We need to grow up, focus on quality in all areas, internationalize and scale Nuki so that it can become the success we all want it to be. This won’t be an easy job, but our vision to make access controls smarter pushes us forward. Here’s the link to our official launch page just released today. Take a look and share it with friends. One more time – thank you for being with us, we had a great time! P.S. : This message was mainly about you, our followers. But let me also highlight the Nuki team. Being in development for 2.5 years is a tough job. You kept pushing through and still are. Thanks to everyone!